Why Don’t the Jews Convert to Christianity? Fundamentally, we understood Jesus as a foreign deity, a man worshiped by people. The Torah instructs us never to mention the names of other gods, as no other god exists except God. We also understood Jesus to be as anti-Jewish as his followers. Was he not the Jew who had rebelled against his people? Was he not the one who instructed his followers to hate the Jews as he did, instigating countless cruelties against those with whom God had established an everlasting covenant? Was he not also the man who had abrogated the Law and said that the Torah was now mostly abolished? I’m just beginning Rabbi Boteach’s latest and most controversial book and will write a full review when I’m finished. However, in reading the Preface and Introduction sections of the book, I find myself thinking that much of what I’ve consumed so far would be good material for every Christian to read and absorb. Look at what Rabbi Boteach is saying about how he understanding Jesus when Boteach was a young Jewish boy growing up in an Orthodox Jewish neighborhood. A Jew’s understanding of Jesus from earliest childhood is as a person who hated his own Jewish people, who taught his Jewish (and later, Gentile) followers to also hate Jews, and who founded a religion based on the idea that Jews must be eradicated. And Christians wonder why Jews aren’t standing in line waiting to convert to that form of Christianity. Gee whiz! Until the deeply anti-Semitic Augustine of Hippo (354-430 CE) directly addressed the subject centuries later, early Church leaders held that Judaism would never survive. Even the powerful Roman Empire couldn’t resist the Christian juggernaut – eventually capitulating and adopting Christianity as state religion. It wasn’t a stretch for Christians to surmise that all remaining Jews would eventually convert, wiping out the ancient religion. But against all odds, Judaism survived and flourished. Even as Pharaoh, King of Egypt enslaved the Israelites and the Egyptians treated the Hebrews with terrible cruelty, under the harshest conditions, the Children of Jacob survived, multiplied, and flourished. Of course, Pharaoh had no intention of exterminating his population of slaves. They were much too valuable to him alive, so their continued survival was no mystery to him. However, for the early church, according to Boteach, the continuation of Jews and Judaism was inexplicable. This makes me ask a few questions. Maybe I should send him a copy of Rabbi Boteach’s book. I think that the survival and flourishing of Judaism in the modern age is frustrating to some Christians. Rabbi Boteach goes on in the Introduction of his book, to illustrate how there has been much restoration of the relationship between Judaism and both Catholicism and Evangelical Christianity, so I can’t paint a terribly grim portrait of the Jewish/Christian interaction today. But there are still plenty of Gentile believers who seem to wish that Judaism would just plain “go away” and who are at a total loss as to why God would allow the Jewish people to continue as a distinct group on the face of the Earth. My other question has to do with “Rabbinic” or “Talmudic” Judaism. In any real sense, this is the only valid form of Judaism in the post-Second Temple world (and I’m including significant portions of Messianic Judaism in this group), since without a Temple, functioning priesthood, and functioning Sanhedrin, much of the Judaism of the Torah cannot be observed, even in Israel. I’ve said before in a few blog posts that the Talmud and the traditions of the Sages are a major reason why Judaism survived in a hostile post-Temple world and across the long centuries after 70 CE and after the majority (but not all) of the Jews were exiled from Israel by the Roman conquerors. …set fire to their synagogues or schools and to bury and cover with dirt whatever will not burn, so that no man will ever again see a stone or cinder of them. This is to be done in honor of our Lord and of Christendom, so that God might see that we are Christians, and do not condone or knowingly tolerate such public lying, cursing, and blaspheming of his Son and of his Christians. For whatever we tolerated in the past unknowingly ­ and I myself was unaware of it ­ will be pardoned by God. But if we, now that we are informed, were to protect and shield such a house for the Jews, existing right before our very nose, in which they lie about, blaspheme, curse, vilify, and defame Christ and us (as was heard above), it would be the same as if we were doing all this and even worse ourselves, as we very well know. …I advise that all their prayer books and Talmudic writings, in which such idolatry, lies, cursing and blasphemy are taught, be taken from them…. If some Christians, both historically and currently, experience frustration at the continued existence of Judaism, they might also experience frustration at and hostility toward the mechanisms by which the Jews have survived: Jewish prayer, synagogue worship, Torah readings, and particularly Talmudic study. If you destroy a people’s lifestyle and culture, you destroy the people, perhaps not in body, but in spirit and identity. As an example, allow me to present the Native American peoples who were all but wiped out by European expansion across this continent over the past several centuries. There are tribes who no longer know their own written and spoken languages, who have lost many of their traditional ceremonies and history, and who are hanging on to any remaining shred of their identity as a people by their fingernails. This is what could have happened to the Jewish people and to Judaism if the Talmud had successfully been destroyed. But is this why some Christian and Hebrew Roots groups oppose the study and authority of Talmud among Jews today? Does it somehow diminish those who say they follow the cause of Christ if the Jews continue to adhere to that which has allowed them to survive and to flourish as Jews? I suppose you could say I’m being a little hard on Christianity and some parts of Hebrew Roots for their opposition to the Talmud of Judaism, but frankly, even if their intentions are “benign” from their own point of view, if they had gotten their way, there would be no Jews walking around today or at best, the “Jews” we’d recognize would be a shell rather than a thriving Jewish culture. Their identity would be shattered, and all that would be left of the people established by God Himself at Sinai through the Torah, would be the tiny sparks and shattered fragments that somehow survived in the whitewashed and “Gentilized” teachings of the modern, refactored “Jesus Christ,” who started out well as Jewish Rabbi and Messiah, but who was turned into a non-Jewish icon symbolizing the extinction of his own people. Having read my wee missive now, if you’re a Christian, if you’re a Pastor, if you’re a Bible teacher, if you’re a Church Choir Leader, if you’re involved in the church in any capacity whatsoever, take a moment and look at yourself in the mirror. Now ask yourself, why don’t the Jews convert to Christianity. You may not understand it yet, but I think you have the answer. It’s our entire fault. Really? God sent Yeshua from above into the world directly to Israel, (tell Jerusalem her King comes to her), they have no excuse for the judgment they will receive as spoken by Yeshua concerning that generation and those who do not repent. It will be better for Sodom and Gomorrah in the judgment than for Jerusalem. Yeshua said that, not Martin Luther or any early church father. The lamb of God, the King stood right in front of Israel and was rejected and despised just as it was written would happen and of him Israel said “we have no King but Caesar”. Why do you try to pin unbelief on the believing followers of Messiah, those who walk in the way of life? The unbelieving Jews repeat “shema” over and over and yet do not. I am not responsible for that, they will bear their own sin. Their keeping the Torah is purely pretense for they did not hear the Duet 18 prophet. If God is to be believed, they see not and hear not and do not repent due to their own hearts and the responsibility remains with them. Those who believe inherit eternal life, those who do not walk the broad path to destruction. Those who come to Yeshua and receive mercy will enter into life. But they refuse to come to him and receive life. And you want to blame the church? Really? I do not believe the evil done by the Catholic Church was done by followers of Yeshua but by followers of haSatan, so to try and pass off this evil as having anything to do with our Messiah and his little ones is pure fiction. Look into the mirror to see why Jews reject Yeshua? Really? My bible teaches a man reaps what he has sown. Are you saying what Israel has reaped was not sown by them? When Israel searches for God with all their heart, they will find him just as is written. That’s up to them, not to me. No man can force another to search for God with all their heart and no man can stop one who does. Let each man remain responsible for his own salvation and work it out personally in trembling and fear of the Almighty who will bring every work into judgment. I made my blog post one sided for a reason. My primary audience for this missive isn’t Jews but Christians. Traditionally (though this is changing) the church tends to lay 100% of the “blame” for the exile of the Jewish people from Israel on the Jews for rejecting Jesus. Looked at from this narrow perspective, no matter how cruel Rome or later, the church (and not just the Roman Catholics) was on the Jews historically, it was always because the Jews deserved it. Christian hands were perpetually clean of the Jewish blood they spilled. Fast forward to when Shmuley Boteach was a boy and you’ll see the result of this history from a Jewish perspective. What I was trying to say in this “extra meditation” is that Christians cannot expect to simply present the “good news of Jesus Christ” to Jewish people and have them to immediately accept conversion away from Judaism and into a religion Jews have been taught is not only hostile to Jews, but plainly idol worship. It is important for Christians to understand why Jews feel the way they do toward Christians and Jesus. That’s all I’m saying. I’m not trying to evaluate the larger spiritual implications of the destruction of the Temple in 70 CE or the Jewish exile into the diaspora for almost 2,000 years. In fact, traditionally, Jews blame themselves for the exile, saying that the Jews of that day did not have compassion for one another and were exiled for their sins. Jews don’t accept Jesus as the Messiah, by and large, because he died (well, and for many other reasons). According to the current Jewish understanding of the Messiah’s mission, he *must* lead Israel into self-rule and bring in an era of universal peace. Jesus died before doing any of that. Jews don’t buy the “second coming” since they don’t interpret the text in the Tanakh as explicitly requiring two “comings”. I know my portrait is disturbing and upsetting, but I’m purposefully not trying to paint a balanced picture. I’m trying to show Christians why Jews don’t automatically see Jesus the way that the church sees him. I’m trying to show Christians that there is a perspective of Jesus that they lack and why many Jews (for right or for wrong) authentically feel threatened when confronted with Christians evangelizing them. Most believers don’t understand the Jewish point of view of Jesus and Christianity. I’m just trying to give some of them something new to think about and perhaps to experience some compassion rather than condemnation for Jews who have deeply ingrained reasons for not wanting to hear the Gospels. Fear not. There were many Jews who indeed did accept Jesus as Messiah (many thousands according to the book of Acts) in ancient Roman Judea, and many Jews today are rediscovering the Jewish Messiah in Jesus of Nazareth. The day is coming for the Messiah’s return and for everything to be restored according to prophesy. But in the meantime, we need to try to look at each other with new eyes. Today, I was offering an alternate lens for the church. I apologize if it seemed I was being unfairly judgmental. That was not my intent. So, it is all the Jews fault, right? They reject Jesus and they are going to hell…. How about your drunken cousin Bob? Does he go scott free while Jews who seek God are going to burn? Dan, I think comparing Steven to a Nazi is over the top. If you disagree with his point of view (I know none of this is easy and obviously, I don’t have your lived experience as a Jew), you can give him reasons why you think he’s wrong. The idea is to help other Christians understand where certain parts of the church’s approach to Jewish people have been damaging, not to throw them under a bus just because you can. Replacement theology is replacement theology. Does not matter how one covers it. you need to learn how to detect it if you are aiming to write about supersessionism. I’m not blind, Dan. However, communication and mutual understanding is the key to overcoming barriers between people, not hostility. For a moment I thought Obama is speaking….For 2000 years the Jews could not push back, now we can….I am not at all interested to communicate with people who hate and want to replace me….Ask you wife, she will explain it to you. God spoke clearly on all things concerning Israel. My objection is to anyone who wants to rewrite what he has said. He never said salvation was of the gentiles, but you would seem to make us responsible. The salvation of Israel and the separation of the sheep from the goats is not on the shoulders of actions or words of some 3rd century persons. It remains as always directly between each man and his God. The concept that a Jew will stand before the judgment seat and use for his defense “oh, didn’t you know what Martin Luther said and what the Crusaders did, it’s those Christians fault I don’t believe in the one you sent” is totally absurd. Call me names all you want to distract from the truth but truth still remains and anyone professing love of Israel will stick to what God has said concerning Israel. God’s word spoken by Yeshua to Israel when he asked if those the tower fell on were worse sinners than they: “I tell you, Nay: but, except ye repent, ye shall all likewise perish. He spake also this parable; A certain man had a fig tree planted in his vineyard; and he came and sought fruit thereon, and found none. Then said he unto the dresser of his vineyard, Behold, these three years I come seeking fruit on this fig tree, and find none: cut it down; why cumbereth it the ground? 8And he answering said unto him, Lord, let it alone this year also, till I shall dig about it, and dung it: And if it bear fruit, well: and if not, then after that thou shalt cut it down. I guess you tore Romans 11 out of your Bible, then? Dan, yes Israel will be saved but without the unbelieving heart of stone. Those without oil will not go into the wedding. As for replacement theology, what does this sound like? So in your view Christianity is a nation? Or you just reading your agenda into the text? Steven, I’m not sure you’re getting the point I’m trying to make. I’m basically speaking to a scenario. It goes something like this. Modern day Christian tries to evangelize a Modern day Jewish person. After a back and forth discussion, the Jewish person, who is rather put off and insulted that the Christian person should suggest converting to Christianity, ends the conversation. The Christian person becomes somewhat insulted and indignant and cannot figure out why a Jew would pass up the opportunity to leave a dead religion and enter into a personal relationship with Jesus Christ. After all, the Christian was just trying to help the Jewish person out from under the Law and into a life of freedom thanks to God’s grace. The Christian concludes that the Jew, and perhaps all Jews, are rebellious and sinful and prays for the Jeiwsh people to “see the light” so to speak, so that God will show the Jews that the Torah was done away with and that relationship and salvation could still be theirs if only they’d accept Jesus Christ. OK, our Christian is well meaning, but he doesn’t really understand his “audience”, the Jewish people. Enter today’s “extra meditation”. In my own imperfect way, I’ve been trying to show our hypothetical Christian why the Jewish person he spoke with wasn’t enthusiastic about accepting the grace of Christ and leaving the Law and Judaism behind. From a 21st century Jew’s point of view, you can’t leave out the past 2,000 years of church and Jewish history and immediately skip back to the original context. That 2,000 years, as much as anything, has defined the history of both modern Christians and modern Jews. There’s a lot of skeletons in both closets, so to speak, that have to be examined so that dialog can occur between Christians and Jews. Happily, that’s happening more and more but we still need to keep working at it. The other reason the past 20 centuries isn’t just going to go away, is because it is the lens that we Christians use to interpret the Bible. Chances are, Jews and non-Jewish disciples of Jesus in the first century CE had a different understanding of their faith in God and their relationship with the Messiah and with each other. Part of what Messianic Judaism is trying to do is to reintroduce the Jewish understanding of Jesus and the Apostolic writers so that both Jews and Christians can better understand the original teachings and intent of the early Messianic movement in Israel and the Roman/Greek diaspora. If we can start by being able to see ourselves through the eyes of the other, we might be able to better learn how to talk with one another. Sort of like walking a mile in the other guy’s shoes. Problem is, because they are another guy’s shoes, they don’t fit, feel uncomfortable, and their style is completely different than ours (I’m using a metaphor here), and we don’t like wearing them. But that’s the idea. We are so used to seeing Christianity through a Christian lens, we’ve forgotten that others may see us very, very differently. In Matthew 7, Jesus said for us to clear up our vision before we attempted to correct someone else’s view point. That’s what I’m trying to do here. We need to try and get past our blinders and learn to see a wider view. In his own way, I think that’s what Rabbi Boteach is trying to do with the Jewish people by writing his book “Kosher Jesus.” If you’ve been following the controversy around this book, you’ll see that we all have a long way to go. In my opinion, this is the best thing you ever written. Blessings. Thank you for writing this “meditation”. I deeply love the Jewish people. Growing up in a Christian background and just coming to the Messianic beliefs I had no idea that most Jews think that Christians despise them and want to eradicate them. I guess now I need to take this knowledge and put it to use by showing my Jewish friends that: 1- I don’t hate and despise them and want to wipe them out, 2- that Yeshua loves them, loves the Jewish faith and does not want to eradicate them, and 3- that Yeshua did not come to do away with Torah, but to fulfill Torah and make it more relevant to our lives instead of just arbitrary laws to be obeyed. Hi Michele. Thanks for reading my blog and commenting. I’m actually trying to illustrate why Jews tend to be misunderstood by Christians and that Jews in the modern era tend to be leery of any attempt to evangelize them. I don’t think Jews really believe Christians want to physically harm them in this day and age (in the past, it was a different story, however). I hope and pray you gain an understanding of the Jewish people and are sensitive to how they may react to the good news of Jesus, even when you show them the love of the Messiah. Please feel free to continue to read my “meditations” and to add your thoughts and questions. James, I do believe I understand everything you are saying. I just disagree. I believe it is irrelevant what we say to Israel outside of preaching the gospel of truth. God has already spoken to Israel through Yeshua. The true believers were put out of the synagogues just as Yeshua said they would. They were persecuted, beaten and put to death by their own families. James was thrown from the temple and stoned. When Yeshua sent some to preach the gospel and heal the sick, raise the dead and cast out devils in Israel. Those who received the message to repent for the King was present and refused to listen would receive greater judgment than Sodom and Gomorrah. Of the Spirit Yeshua said: “For it is not ye that speak, but the Spirit of your Father which speaketh in you”. Steven, I guess this is a situation where we’ll have to “agree to disagree” if you can pardon the overused phrase. But let me ask you this: how do you explain Jews who have discovered the Messiah Yeshua within their own Jewish context? Part of what I’m saying is that it is really unlikely (but not impossible as history tells us) for a person who has been raised in an ethnically, culturally, and religious Jewish home to completely walk away from all that to embrace a totally non-Jewish Christian lifestyle. On the other hand, I can point to Jewish people who recognize and give honor to the Jewish Messiah within a completely Jewish context (since Christianity indeeded started out as a totally Jewish religious practice in the days of the Apostles). How do you see those people who call themselves “Messianic Jews” but not necessarily “Christians”? For that matter, how do you see Dan, who is a Jewish person raised in Israel and who worships Yeshua as Messiah? As a side note, one of these days, I’ve got to write a blog about how the Bible can be both a container for timeless, universal truths, and a living, breathing document that develops and interacts with the Jews and Gentiles of each generation, saying different things to different people across time. I know it seems unrelated, but it’s relevant to our conversation in terms of how the New Testament especially was applied to Paul’s original audience vs. how it can be applied to different audiences today…but that’s another story for another time. Dan, I do believe the assembly of those called out of darkness, those who have received the mercy of God in the blood of Yeshua are a holy nation. I believe this based on the text and it speaks for itself, I do not have to inject a personal agenda. Believers obtain mercy but the disobedient obtain destruction. James, I see Dan and believing Jews as myself. A man is with us or he is against us. There are no others. I had an interesting experience while I was in Israel. I suddenly realized that, even though I was walking the Land and enjoying its benefits, I had not sacrificed anything to be there. And while I was there I met strong, precious Jewish people who had given everything they had to live in the Land promised to them by the one true Elohim. I felt to be very much the visitor, because I was. It could be compared to meeting one of the cold, hungry soldiers who braved the winter at Valley Forge, and trying to explain to him how poorly we were handling the gift of a nation that he had helped to provide. What is my sacrifice compared to his? Would he understand my negligence? Would I understand his commitment? I must confess that although I have a love for the Jewish people, I find myself unable to easily plumb the depths of their history or the courage of their hearts. If anyone reading this blog ever has the opportunity to visit the synagogue at Hebron and to be taken to the basement rooms where women, upon threat of their lives and the lives of their children, stayed on in that building until the fledgling government of Israel approved the stationing of troops there so they would be safe, please do not miss it. When your eyes are finally dry you will find that your heart has been touched in a very special way by a very special people. YHWH has not forgotten them. He has not cast them aside. Shame on us if we try to. Steven, my point is that you may see Dan as with you (us) because he is a believer, but he obviously sees himself and the Jewish people differently, even the believing Jews, than you do. Remember, Matthew 23:37-39 is a lament by Jesus over his people the Jews, not a condemnation. In Romans 9:1-5, Paul even said he wished that he could be cut off from Christ if it would help some of his Jewish brothers, since “the adoption, the glory, the covenants, the giving of the law, the worship, and the promises” all belong to them, the Jews. If Jesus and Paul could feel compassion and regret over those Jews who did not accept the Messianic message (but who will someday), can we not feel the same? Is the messenger truly greater than the one who sent him? In 1985, my wife and I were touring Europe and had stopped in Venice. We walked over the very famous “bridge of sighs” which we learned were not the “sighs of lovers” who sail under it on the canal, but was named for the “sighs” of the Jews during the Holocaust, who were marched over that bridge by the facists on their way to the ghetto, and worse. We were touring with a Catholic choir group (no we don’t sing and were not Catholic, but they had extra seats on their tour and the price was right) and while they were practicing in a basilica, we visited the Venice Jewish quarter. In comparision to the golden opulence of the Catholic holy places, the austerity of the Jewish part of Venice was remarkable. We escaped the summer heat in the dim coolness of the synagogue. Neither of us were religious at the time, but there was a sense of quiet awe that I felt in that place. I wish I could go back, knowing what I know now and to pray there. Did you ever read Eph. 2:11-15? It tells exactly to which nation are the Gentiles that were without God, are grafted in now. You are right, the HOLY NATION of ISRAEL. Dan and James, don’t mistake the unbelievers as Israel, they will not enter his rest no matter your love of unbelievers. There is no rest for the wicked and that was not Messiah’s dying wish. Of those who Yeshua said “I know you are Abraham’s Children” he asked “Why do ye not understand my speech? even because ye cannot hear my word. Ye are of your father the devil, and the lusts of your father ye will do. He was a murderer from the beginning, and abode not in the truth, because there is no truth in him. When he speaketh a lie, he speaketh of his own: for he is a liar, and the father of it. And because I tell you the truth, ye believe me not. Which of you convinceth me of sin? And if I say the truth, why do ye not believe me? He that is of God heareth God’s words: ye therefore hear them not, because ye are not of God. One more time, read Romans 11 it says :ALL Israel will be saved. It speaks of a nation….Hello……. Both Jesus and Paul lamented that many Jews did not accept the Messiahship of Jesus. Neither of them wanted any Jew to be lost. They didn’t want anyone to be lost, Jew or Gentile, but the greater emphasis was on the Jew because ““the adoption, the glory, the covenants, the giving of the law, the worship, and the promises” as I previously quoted from Romans 9. If the Jewish Messiah is the only way to the Father, then who more should that way be offered to than the Jews themselves. Paul went first to the Jew and then to the Gentile and Jesus rarely had interactions with Gentiles, saying he had come for “the lost sheep of Israel”. We may register regret and heartache if a Jew in the present doesn’t recognize the Messiah, but we shall not dismiss him. My wife is a Jew and an unbeliever, so I think I’m a little closer to this situation than you are, Steven. You may look at Jewish unbelievers as a “hypothetical situation” and in the abstract, so perhaps it’s easy to condemn what you don’t understand, but for me, it’s a lived experience and I will not just sweep my wife under the carpet because she doesn’t conform to my Christian preconceptions and theologies. There is always hope and with hope, love. If not, then what is our faith worth to anyone? A Catholic choir group? That is funny. I have had the same experience in synagogues in Israel. Peace. There is no other word to describe it, just peace. btw, who’s the angry guy with the KJV? Since we can all see each other’s comments and he knows you made this query, why don’t you ask him directly? Oh I know Jews don’t think Christians are out to literally cause them physical harm these days. On that part, I was speaking metaphorically. I was just pointing out that I know realize I need to use a much more Jewish context in witnessing to Jews. James, I don’t think of unbelieving in the abstract or as hypothetical. You probably think you love Israel more than me because you married a Jewish woman. I won’t debate that but I will say this. Some people think they love Israel and blow smoke and pretend love. They won’t stand up and call Israel to repentance for the evil done in Jerusalem. 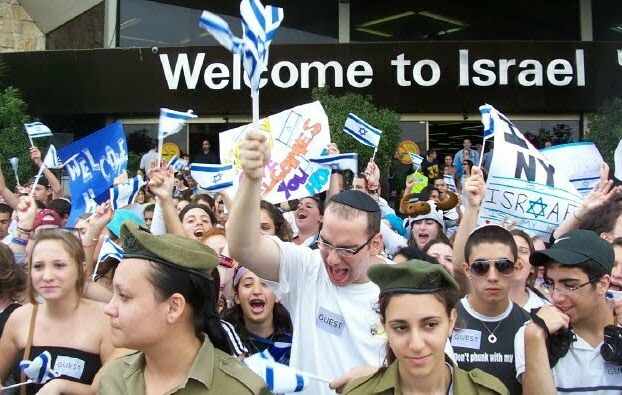 They go to Israel and say “Isn’t this just a wonderful place?” but they don’t see how disgusting it has become and is all trodden down with idols and coexisting with pagans and a great big idol mosque that says “God has no Son” standing where the temple used to stand but was torn down and destroyed because of rejection of Yeshua the King of Israel. Let’s all line up and take pictures in front of great big idols and show them to our friends and pretend that is love for Israel because they bought some trinkets and took a tour . They will let Israel go into destruction all the time fair weather friends who will flee at the first sign of persecution, never giving a clear sounding warning. A man who truly loves Israel will tell her the truth and warn her of her impending destruction no matter how unpopular the message, even unto facing death. The prophets were excellent examples of true love for Israel and how were they treated? No one loved Israel more that Yeshua and look how he was treated. Is there hope? Not in those who pretend to love Israel. But if Israel will repent and hear the words of God and take seriously the warning to run out and make peace with the one who is about to pour out his wrath on the earth and find a safe place in him, in Yeshua…..then there is hope. It was not an insult. And I did not say that I completely disagree with you, I was just hoping that you might realize that condemnation is not the same as righteous judgment. If you are quite sure that your view is right, then fine. May the sword you speak so freely of not cause any damage in your own home. Steven, I think you’re making assumptions about me that are not true. I don’t think about my “love for Israel” in any way that is relative to yours (better, worse, whatever). I am saying that for me, the issue is personal, because it is part of the fabric of my family life as an intermarried person. Unless you are a Christian married to an unbelieving Jew (and I have no way of knowing your background or situation, so perhaps you are), you probably don’t have that lived experience. All I’m saying is that in relation to most Christians, I’m uniquely “positioned” to perceive the subject in a very different light. I am quite aware that Israel is a largely secular nation. Tel Aviv is sometimes called the “Los Angeles” of Israel in its liberal excesses and the behavior of the Haredi regularly makes headlines due to the outrageous behavior of this particular religious group. I am not idealizing Judaism or the modern state of Israel as some do, however I am not automatically condemning Israel and Jewish people either. Human beings are very short sighted. I see this in myself. I know that in the past, I have had great distress and prayed for God to deliver me from my circumstances (I know…it’s selfish, but it’s what people do when they’re in pain). I waited. From my point of view, opportunity after opportunity for my life to get better passed by without God providing me with what I desired. I felt as if God was not listening. Then…after a much longer period of time passed than I thought I could tolerate, God gave me a way to improve my life that I had never anticipated in my wildest dreams. Once He had done what He set out to do, I could look back and see it was the best thing He could have done for me. But while I was in the middle of the process, I couldn’t see it at all, and I was miserable. Such is the struggle of faith and trust. Now apply everything I just said to Israel and frankly, to the state of humanity as a whole. Things look kind of grim right now and it would be easy to just say, “to heck with it all.” However God has something better in mind. Do as you will and if you need to hold a “sword” to the Jews of today because you think this is God’s plsn, do as you must (although that hasn’t worked out so well historically). Just realize that by the time God actually restores His nation and fulfills His promise to bring His chosen people home in every sense of the word, you may see that you have lacked a crucial insight as to how that plan is supposed to work out, even as I lacked that insight in my own life. Oh, and I didn’t say a word about the version of the Bible you use. I think that was Russ. James, I accept your position to perceive the subject in your personal light. Yeshua was also uniquely “positioned” and he was the light. That is why I use his words. They were from above and he was not ever confused or like you and me, lacking insight. What do you mean “if you think you need to hold a sword to the Jews”? I did not bring the sword…. that was what Yeshua said and did and so I know for sure it is God’s plan and don’t need to “think”. How well it has worked out historically you are calling into question his work, not mine, but I guess you think you are also uniquely “positioned” to perceive how well his sword has worked to make disparaging remarks about his effectiveness? The Spirit of God will reprove the world of sin. Yeshua said other things too…. Like equating Gentiles to Dogs…. But you probably tore this one out of your Bible also, right? Dan, Yes he did, and no I didn’t. Dan, Yeshua said this too…..
And I say unto you, That many shall come from the east and west, and shall sit down with Abraham, and Isaac, and Jacob, in the kingdom of heaven. But the children of the kingdom shall be cast out into outer darkness: there shall be weeping and gnashing of teeth. Can you identify these children of the kingdom who will be cast into outer darkness? Gentiles? Steven said: I did not bring the sword…. that was what Yeshua said and did and so I know for sure it is God’s plan and don’t need to “think”. Frankly, we are supposed to think, and to study, and to pursue knowledge and righteousness. The minute we think we know the Bible and God well enough to go on “automatic pilot,” particularly in our judgments, we probably need to revisit our assumptions. If the sword you speak of is carried by the Messiah, I will accept his judgment. However, too many of his followers have done as they’ve willed with that sword, believing they were acting in his name. The crusaders burned the synagogue in Jerusalem to the ground with all the Jewish worshipers still inside. They too believed that it was not them issuing judgment, but Jesus. I’m not saying you are anything like those out-of-control zealots of the early church. I’m just asking you to be careful and to consider what part of your viewpoint of Jews is from God and what part is based on your enculturation in traditional Christian theology and doctrine. All I’m asking you, and the many other Christians like you, to do is to try to think outside the box for a few minutes. All I’m asking you to do is to see Jews as human beings created in the image of God and who are loved by God, not things or symbols or terrible, godless people, or whatever might justify a lack of compassion for them. Please be careful who you judge as lost and abandoned by God, whether Jew or Gentile. Next year, they could be your brother and sister in Christ. Then how would you feel at having given up on that person and then realizing God never gave up on them? I don’t go to church because I’m concerned I’ll encounter attitudes such as yours face to face. I lament on the validity of fellowship in congregation because human priorities seem to always muddle the intentions of God. Sadly Steven, you seem to be proving my point, particularly with your last response to Dan (and if you think you’re sitting at the table of Abraham, Isaac, and Jacob, don’t you realize they are Hebrews?) I cannot give anyone outside of myself a heart for compassion for others. That’s something God has to do for each of us. I hope someday, you will let Him to it for you. I have hope that He will, even as I have hope for the promised salvation of Israel. I don’t know what more to say to you. You seem determined to dismiss the Jewish people who won’t become Gentiles for you, and to call it the judgment of Jesus, which is neither your role or mine to take. God said “Vengeance is mine, I will repay” and Paul echoed His words. No person ever came to love God by being threatened with hell and damnation, at least in any meaningful way. Only by accepting that God loves us, can we learn to love Him and to obey Him out of that love. Only then can we learn to love our neighbors (as Jesus commanded), even if they are unlike us…even if they are Jewish. If the disciples of the Master evangelize out of anger and hostility, then who are they glorifying…God? James, I see you are determined to misrepresent what I have written here and have made your own assumptions. You are misrepresenting the message of the Duet 18 prophet and ignoring the message of the Holy Spirit. My use of Yeshua’s words should, yes, show my heart. But your reaction to them shows yours. You want to characterize my belief and promotion of Yeshua’s words as judgmental and abandoning individuals, but it is not me who judges, there is one who judges, the Holy Spirit and Yeshua said for judgment he came into the world. If I tell you the truth you call me angry and hostile? I do not want to make Jews into gentiles and I love all my brothers in Messiah equally no matter color, gender, nationality, position, or any other thing but the drinking of the same Holy Spirit. In Messiah there is neither Jew nor Gentile but we are one in him. I refuse to believe otherwise no matter how hard evil men (not saying you) try to keep reinforcing the separation by traditions and false teaching. In spite of their efforts they will fail and Messiah will make us one for there are many members but only one body. No matter your well intentions the fact remains: Hard is the way to eternal life and few there be that find it. I accept that, I cannot change that and I don’t pretend to know which have found it. Your well intentions will not save anyone. When any man hears the gospel and repents and receives mercy from God, I welcome and love them equally without prejudice and I don’t love Jews more than Gentiles or Gentiles more than Jews. Did you think otherwise? Of course these are the Gentiles who think they are in the Kingdom and going to have a party in the sky…You know, the dogs…..
Two can play the same ugly game….He did not come for the Gentiles, he came for the lost people of Israel….You see how easy it is? Steven, I feel as if I’ve been bending over backwards trying to be tolerant and respectful of your viewpoint, but from my perspective, it’s like beating my head against a brick wall. No matter what I say or how I say it, you act is if you’re being victimized by my comments. Your beliefs and attitudes are your own and you are free to have them, but that doesn’t mean I have to agree with you and that by disagreeing with you, it doesn’t mean I’m somehow misunderstanding you. You may love Israel but I still think you have some “blind spots” when it comes to Jewish people. Using Matthew 8:11-12 to (apparently) say that Jews will be thrown into the darkness but Gentile Christians will eat with Abraham, Isaac, and Jacob, and deliberately aiming that at Dan reveals a “vulnerability” in your perceptions. This has got to stop. I normally encourage debate and I even tolerate some less-than-gracious remarks from time to time, but there are just three of us participating in this “conversation” and nothing productive is coming from it. There’s so much more I could say, but it wouldn’t help and I don’t see any benefit to us, or to anyone who might come along and read this, in perpetuating this transaction. I’d prefer not to lock out comments altogether (though I will if it comes to down to it) in case someone with a fresh viewpoint wants to say something later on, so how about we just “return to our corners” and call the “boxing match” off. Jesus said we are supposed to love one another, but this has hardly been a good example of his desire for us. James, You say your wife does not see the truth, but I have asked the Father to change that, according to his will. Then you will “know the love of the church” and what can be accomplished by the power of God through faith of even the lowliest of members. You say your wife does not see the truth, but I have asked the Father to change that, according to his will. Thank you for your prayers. This is an interesting situation and one I’ve imagined happening should I ever return to church for any length of time. Here’s how the scenario goes. I show up and worship at a church for a number of successive Sundays. Eventually people start talking to me, I go to Sunday school and so on. People become curious why I always come alone and ask the usual questions about being married, divorced, widowed, and so on. So I tell them that I am married but my wife is Jewish and not a believer. And then I’m caught in a quandary. You see my wife has struggled long and hard to enter into the Jewish community. She wasn’t raised in a traditionally Jewish home, and so doesn’t have that sort of background to establish her identity. It’s taken years, but today, she is an active member of the Jewish community in our town (being Jewish is a lot more complex than being Christian since there are so many more aspects than just the religous practices) and has even learned to think like a Jew (that is, to conceptualize the world around her in a fundamentally Jewish way). She doesn’t want to stop being a Jew. If I told her that a Christian was praying for her salvation, I’m not sure how she’d take it. She’d probably just shrug it off, because she experiences herself and her Judaism as being quite fulfilling in a religious, spiritual, cultural, and social way. As her husband, I want what’s best for her, but I also want her to be happy. She not only wants and needs to be Jewish, she is Jewish. I certainly don’t want her to lose her identity and I really don’t want to be the instrument of that loss. The best I can say is that I want for her what God wants for her. It’s one of those situations that you have to see from the inside in order to understand it. Again, thank you for your prayers, but it just feels “interesting” to me to consider how most Christians would picture the process of being “saved” vs, how my wife experiences her current relationship with God. James, I think that is what Yeshua spoke about “new wine” and “new wine skins” having drunk the old, one does not right away want to drink the new because they say “the old is better”. 1. Jesus was a Rabbi and was not the Messiah. 2. So that Christianity as well as Judaism evolved as a product of the ‘selective remembering’ of its disciples. 3. The current Old & New Testaments fail, without divinely inspired interpretation, in the recalibration of the Mind of Human-kind that Rabbi Jesus taught us to do. 4. That God is the One Absolute Reality that functions as the Reciprocal of One [ROO] and which we can better conceive of, as the Mind of Human-kind. 5. That God exists only as G-d, outside the Mind of Human-kind and is yet to be simply understood, even by so-called ‘true belivers’. 6. So that understanding with humility, the simplicity of the Rabbi Jesus’ recalibration teaching, we may yet bridge the dichotomy, our physical brains embody. 7. Enabling us to function in the Mind of Human-kind, as an undistorted or obscure image of God, as did the Rabbi Jesus. 8. Allowing us to affirm, unlike Einstein, that: Religion without Science is lame; But science without religion is blind. 9. As the Rabbi Jesus taught us: any ‘science’ that is ‘blind’ is no ‘science’ at all; whilst the lame can still move, albeit haltingly, forward. maikel annaghlee, there is nothing humble or simple in your words and the “spirit” you are of is inspiring deception. Yeshua is Messiah and if you don’t believe that, you do not know his teachings or his work. It is interesting that you disagree with my perspective on God, the nature of Jesus, and the viewpoint on Christianity and Judiasm in the extreme, and yet you have made four separate comments on different blog posts here in a very short time. If my content is that disagreeable, why make such efforts to express yourself here? The statements you make aren’t particularly familiar to me, but you seem to try to characterise God as a mathematical expression. According to a quick Google search, the reciprocal of one is one, which is obvious, but I’m not sure how it applies in any meaningful since to that which the Rambam refered to as the unique, radical oneness of God. In any event, I’ve allowed your statements to remain but would prefer that you do not continue to spam the comments sections of my blogs. If you have something to say that is meaningful and relevant, I’m willing to take it under considertion, but otherwise, I’ll have to start removing additional comments you post if I believe their only purpose is to further an agenda that does not contribute to the conversations here and frankly, an agenda that doesn’t make much sense. and yet you have made four separate comments on different blog posts here in a very short time. COMMENT: Your meditations are very inspiring, for you quote authentic sources, which were not taught in my christian tradition. If my content is that disagreeable, why make such efforts to express yourself here? COMMENT: Thank you for recognizing my effort. I likewise thank you for yours, which are to me most agreeable. The statements you make aren’t particularly familiar to me, but you seem to try to characterise God as a mathematical expression. COMMENT: If only God was so obvious, not only to my fellow scientists or mathematicians; but to so-called theologians and philosophers too. but I’m not sure how it applies in any meaningful since to that which the Rambam referred to as the unique, radical oneness of God. COMMENT: It’s a symbolic mathematical expression of G-d, as not only the Alpha and the Omega; but also integrally “as the unique, radical oneness of” the Trinity. Thus: 1/1=1. In any event, I’ve allowed your statements to remain but would prefer that you do not continue to spam the comments sections of my blogs. COMMENT: I understand. I hope this reply is more “meaningful and relevant”. and frankly, an agenda that doesn’t make much sense. COMMENT: Thank you for being so frank. If it was easy to understand, I would not be so inspired by your meditations, to share my responses with you. For your meditations reveal to me the undoubted sincerity and validity of your inspiration in affirming the continuity of the Judaic tradition in the Rabbi Jesus. And my responses are only intended to extend them in me and then share them with you. If only Steven would allow us both to continue. ps I do not have an internet connection or computer access at home and being from ‘down under’, am in a GMT+ 10 time zone. COMMENT: OK; but why not agree that my words are not me and neither are your words you. And being made, only in the image of G-d, we are more likely to choose words, which can only aspire to be “humble or simple “. and the “spirit” you are of is inspiring deception. COMMENT: I seem to recall that Jesus himself was so accused by the Pharisees. COMMENT: Perhaps, in some scriptures. But Jesus’s crucifixion, death and resurrection were symbolic of a deeper meaning. and if you don’t believe that, you do not know his teachings or his work. COMMENT: I don’t believe that Yeshua is Messiah. If I understand James correctly, he is endeavouring to remove an everlasting conflict between Jews and Christians. My intention is to include Islam as well. Hence my belief in the Rabbi Jesus, functioning as a non-divisive teacher, unlike the Jewish or the Christian Messiah. Having read the article and many of the comment I think the readers would be interested in the following sources as someone who researched this very topic being raised a Christian I found that the Judaism and understanding of the old testament is not the same for Jews as Christians. In fact in some places bible translations use the greek septuagent rather than translating the Hebrew, because of the implications that would be drawn from a litteral translation. Getting a jew to believe in Jesus is like getting a Christian to believe that God could never be a man. #1 Jews do not believe in the New testament. #2 here are some jewish links that may help you understand their side of the argument. You can convince non-educated non-orthodox jews to believe in Jesus. You have heard many stories of Jews converting to Christianity, but have you read the stories of Christians especially after learning Hebrew converting to Judaism? Does this indicate that Christianity is wrong if Christian pastors would convert to Judaism? or is this just a case of you only hearing about the Jewish Christian converts as opposed to those who forsake Christianity for one God. I am a Catholic, and we believe that Jesus was Jewish, and that the Jews are the Chosen People, and we do not believe that the Jewish faith should end at all!! I understand why Jews don’t convert to Christianity: they don’t believe in Jesus Christ, or His Diety. But I don’t understand why a Christian would convert, either… How can they denounce Christ? Why is it expected? If I fell in love with a Jewish man, I would never ask him to renounce his faith in favor of mine, and conversely, I wouldn’t want him to demand that I renounce my faith in favor of his!!! Greetings Maureen and thank you for commenting. I think I said in the content of the blog that I was admittedly being kind of hard on Christianity. I’ll also admit that much of the church, including Catholicism, has moved away from its historical stance on supersessionism and many churches are far more accepting of Jews and Judaism than in decades and centuries past. I suppose I should also mention that a few things have changed since I wrote this blog post ten months ago. For one thing, I’ve actually been going to church again for the past month or so. The Pastor of the church I attend lived in Israel for fifteen years and teaches a very pro-Jewish and pro-Israel message. However, if you read a few of the comments others made in response to this blog post, you might notice that not every Christian is comfortable or accepting of Jews and Judaism. It’s not something that has completely ceased to exist among some Christians. We still have more road to travel before we can understand and even support the unique covenant relationship Jews continue to have with God. As far as conversion goes, because of the long history of forced conversions and assimilation in Christian/Jewish history, most Jews are raised with the idea that conversion to Christianity is something to be avoided. 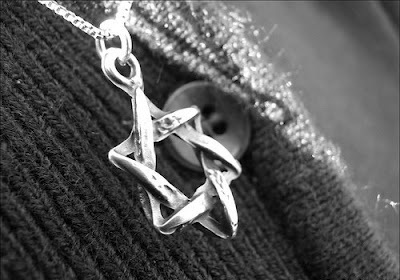 It’s difficult for most Christians to comprehend what it is to be Jewish since it encompasses far more than a religious point of view and goes to the very core of the individual’s identity. No one is born a Christian, even if they are born into a Christian family, but you can be born a Jew. Even if you convert religiously, you can never really stop being Jewish. In case I didn’t mention it or you didn’t read my bio, my wife is Jewish and not a believer. When we were first married, we were both atheists so there was no apparent conflict. Once we both became religious (me being a Christian and her being religiously Jewish as well as ethnically and halachically Jewish) a lot changed. Neither of us is planning on converting to anything else and there are a lot of interfaith marriages in the world so it’s not as if we are unique. But it’s not without challenges and the dynamics are occasionally rather complex. As far as the church fathers go, I wrote a four part series on supersessionism in the church for Messiah Journal in 2012. The first part was on the church fathers and yes, I did my research. I must say that history doesn’t paint them in a very complimentary light in terms of their attitudes toward and treatment of the Jewish people. The fourth part of the series will be published in January or Feburary I believe (I have to write the articles months in advance due to the nature of the publishing industry), and the story of Christian/Jewish relations does have a happy ending or at least it’s heading in the right direction. It just didn’t have a very encouraging start.